Clean Heating Systems That You Can Feel Good About! Keep Your Feet Warm with New Heat Radiant Floors! Since 2006, Garrett Hansen Plumbing Inc. has been providing excellent plumbing, heating and geo-thermal services to Redstone, CO and the surrounding area. We’re a locally-owned business, bringing more than 30 years of experience to every job. Call us for installations, repairs, maintenance and more, including specialties such as radiant in-floor heating and HVAC geo-thermal installations. Serving Your Home Plumbing Needs! Need water treatment for your home, to purify and condition your potable water? Looking for a radiant heating solution that will serve your home without impacting your energy costs? Garrett Hansen Plumbing Inc. is ready to answer the call! We’re so much more than just your run-of-the-mill plumber—in fact, we’re the number one expert when it comes to specialty services, like weather treatment and conditioning, hydronic heating and geothermal energy. 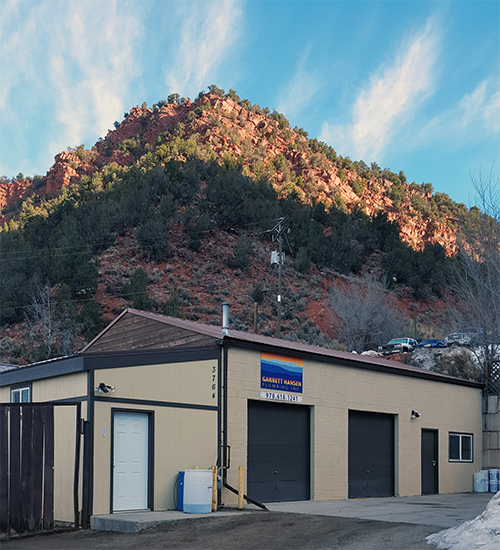 We deal with everything from hydronic boilers to water softeners in Glenwood Springs, CO, to ensure your home is the pinnacle of efficiency and accommodation. Our business is built on bringing customers solutions. Whether it’s a solution for a specific type of water contamination or it’s an answer in regards to geothermal heat pump installation, we’re the ones to call. Our extensive scope of capabilities means we’re always able to lend a hand, providing you with the hard work, expert oversight and quality results you demand. Whether we’re working on water purification systems, hydronic heating systems or water heaters in Glenwood Springs, CO, trust our experience to result in positivity for your home. If you’ve got a question about green heating systems or want to improve the potable water in your home, we invite you to contact us today and see for yourself the high level of expertise and experience we bring to every home. We have a licensed Master Plumber on staff, ensuring quality and excellence in every job. We’re members of the Better Business Bureau and proudly maintain a superior A-plus rating. Our business has been locally-owned and –operated for more than 30 years! Emergency services are available after hours by request. We’re able to offer our customers a free, upfront estimate on service after consulting with you about your needs. Put your home’s plumbing in the hands of the professionals when it comes time for water treatment, radiant heating services and more! Contact our team for a free estimate on service.